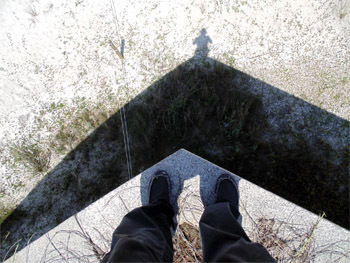 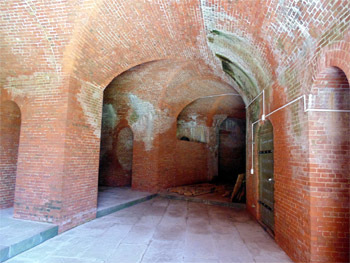 Visit the Starforts.com Fort Massachusetts page here! 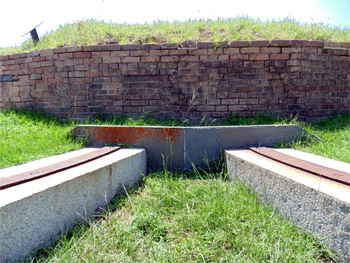 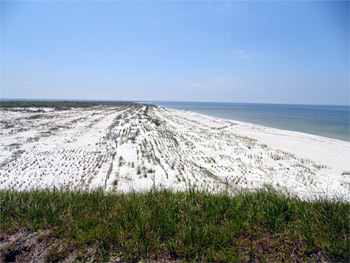 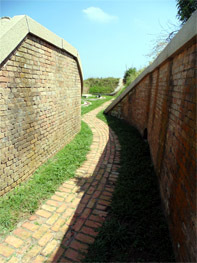 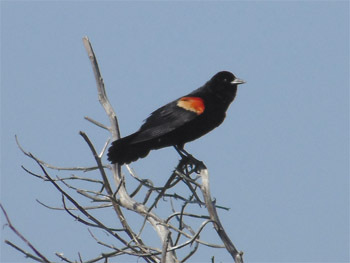 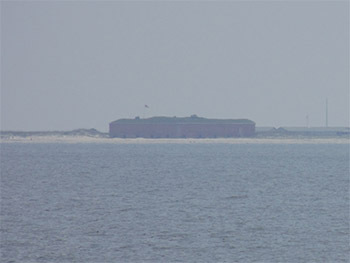 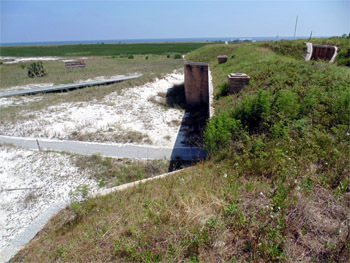 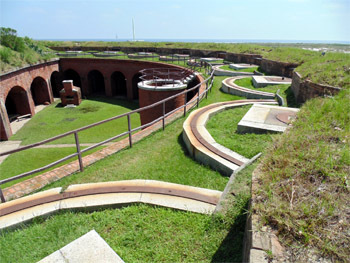 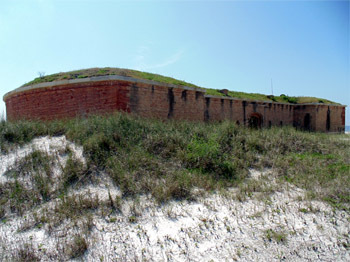 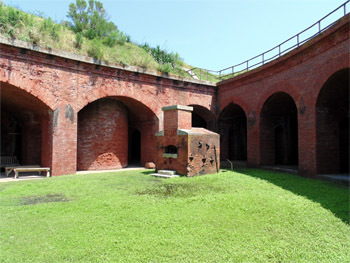 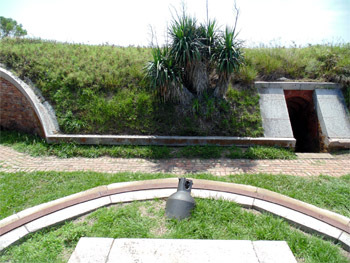 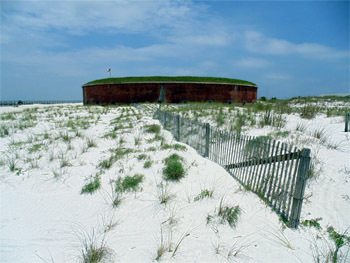 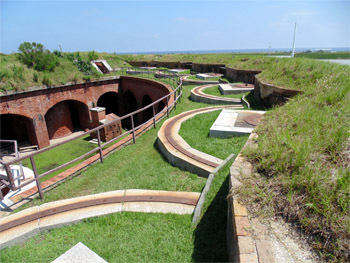 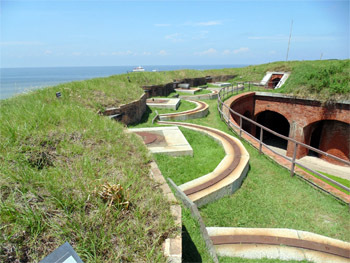 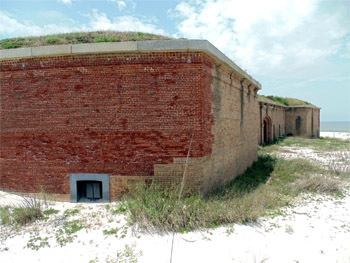 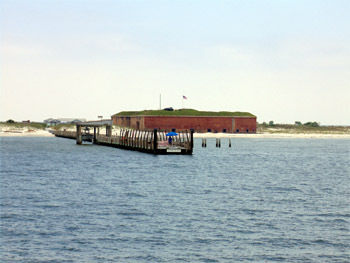 Located as it is on West Ship Island, 13 miles south of Gulfport, Mississippi in the Gulf of Mexico, Fort Massachusetts is only accessible by boat (duh). 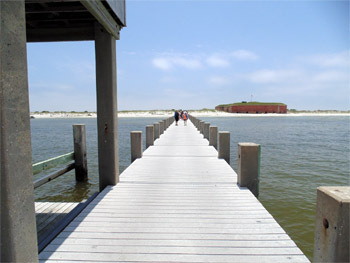 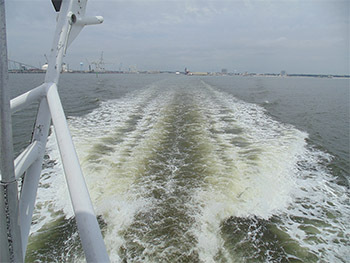 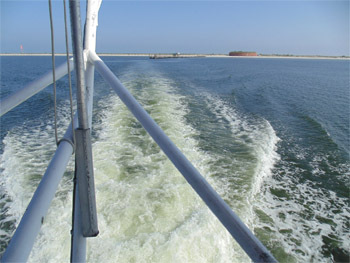 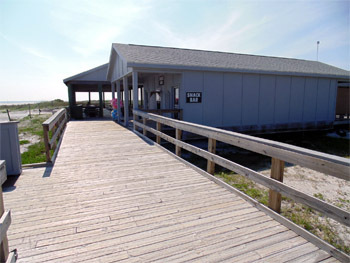 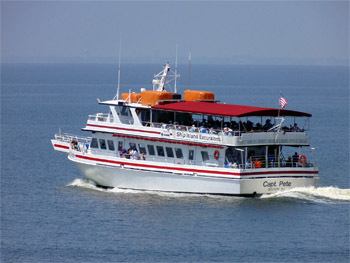 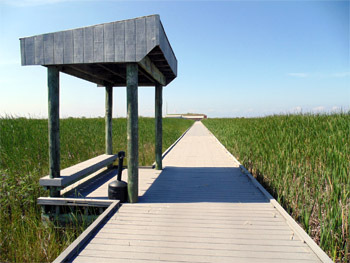 The Ship Island Excursions organization has been ferrying the curious to visit the fort and its lovely surrounding beaches since 1926. 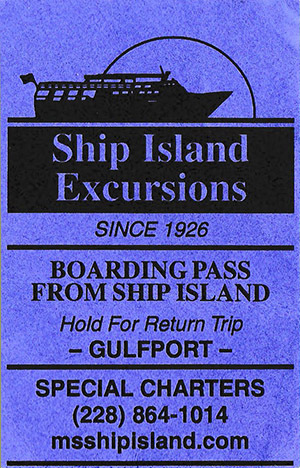 For the low low price of $29 (it's up to $32 in 2018), I was gently deposited on the dock on West Ship Island's northern shore, after a pleasant hour-long gulf voyage, along with around 40 other intrepid seafarers. 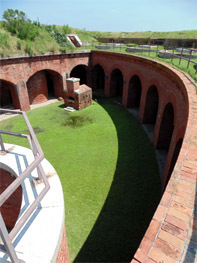 Fort Massachusetts is an absolute jewel. 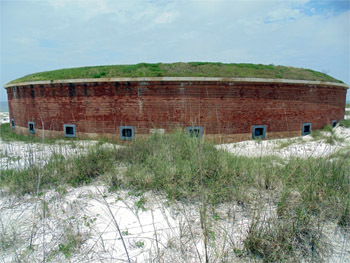 Though unstarry to the critical eye, it's the classic American starfort experience: Unique individual design, built with the same materials as every other American starfort. 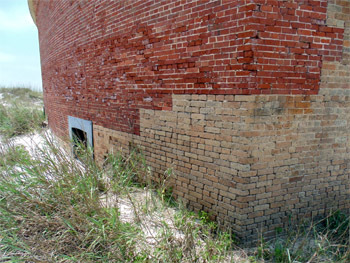 Bricks! 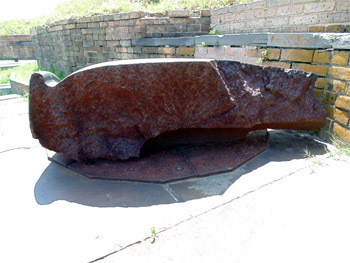 Granite! 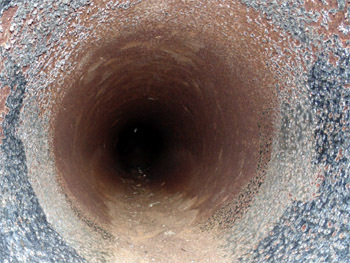 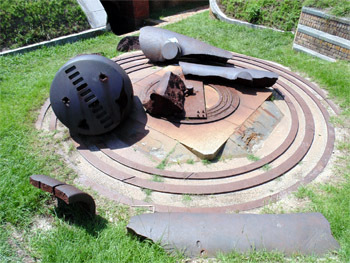 Iron! 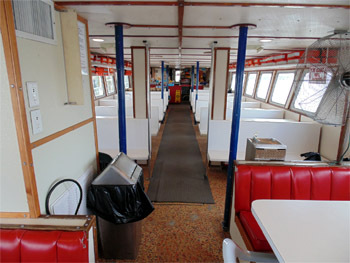 All the favorites. 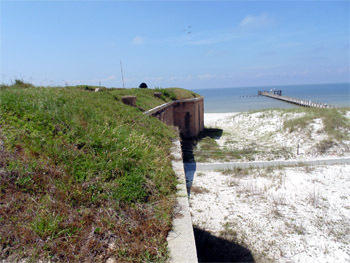 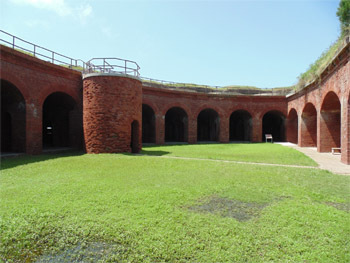 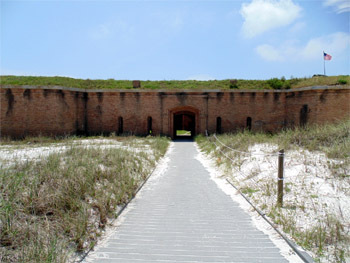 I was fortunate enough to have the fort all to myself for a couple of hours, after the folks who had sailed in with me did their required 20-minute Fort Massachusetts tour and set off for the beach on the other side of the island, which was the real reason they had come to this speck in the Gulf of Mexico. 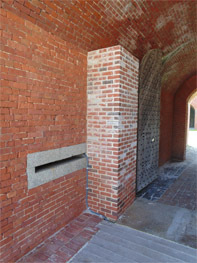 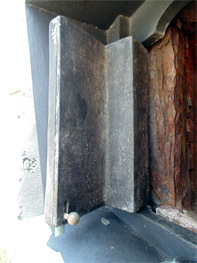 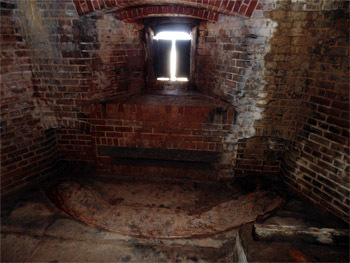 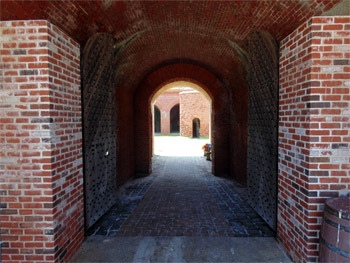 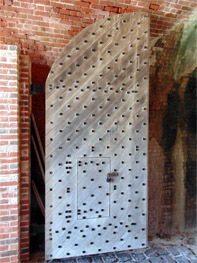 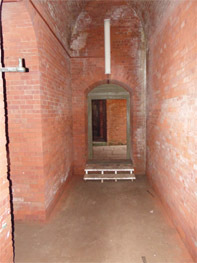 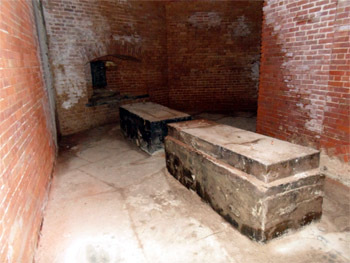 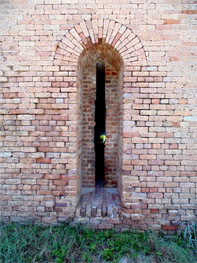 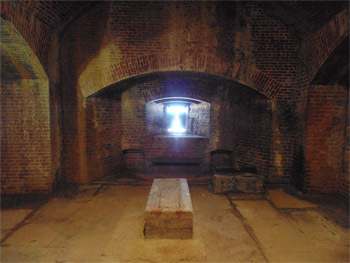 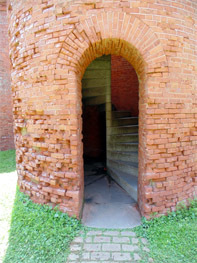 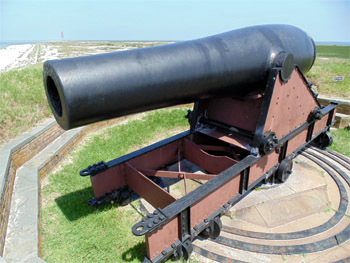 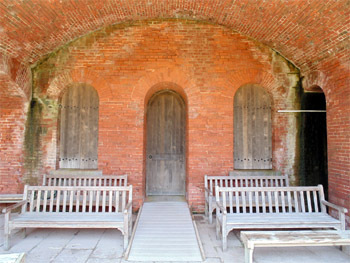 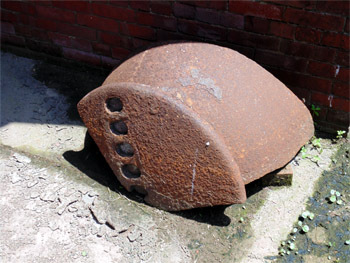 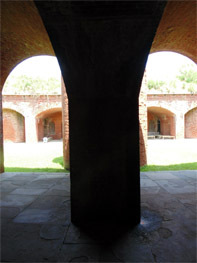 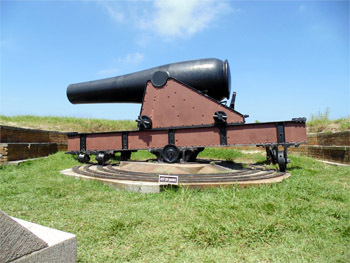 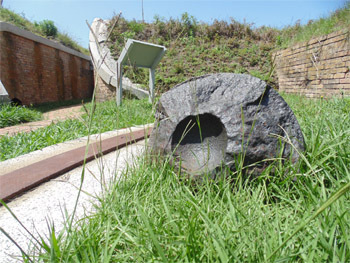 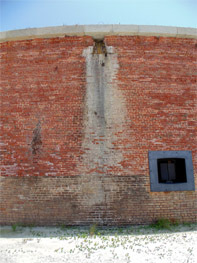 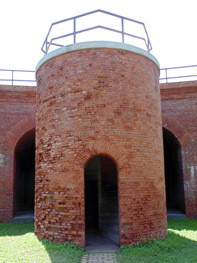 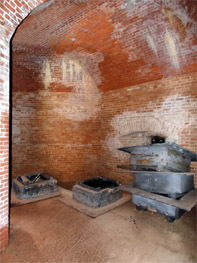 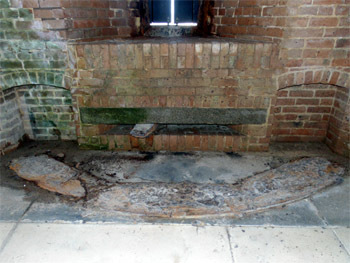 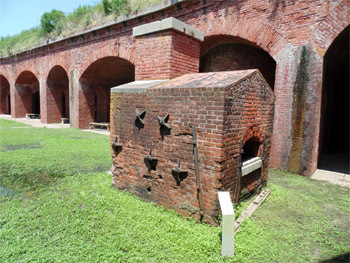 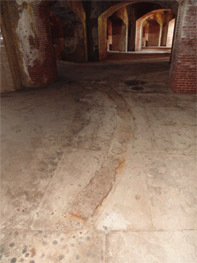 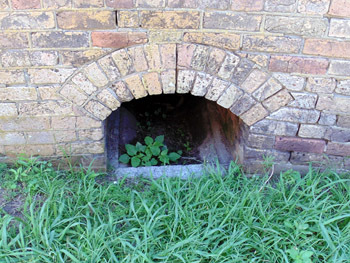 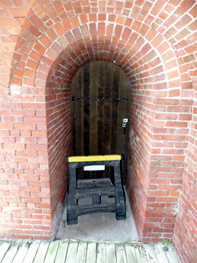 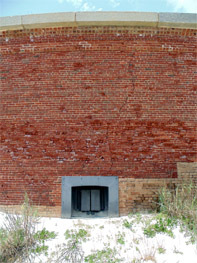 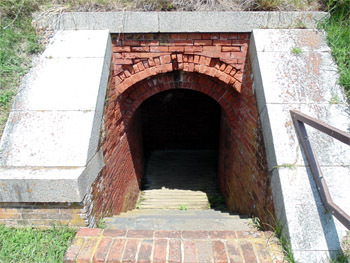 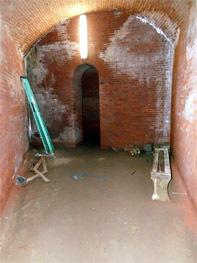 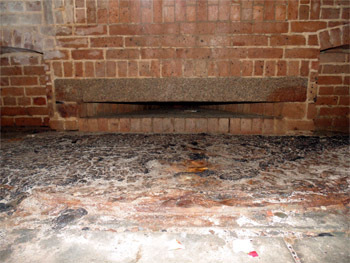 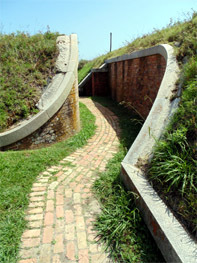 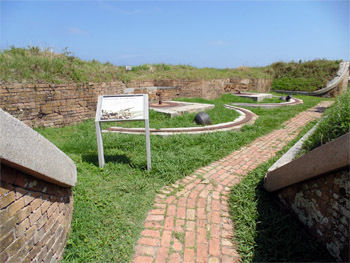 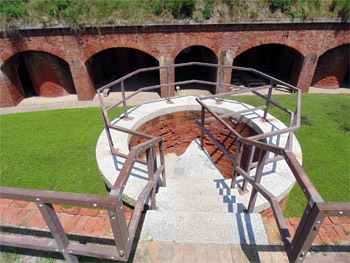 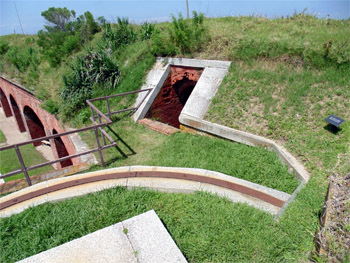 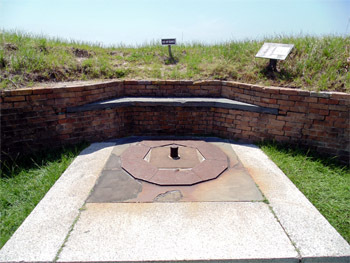 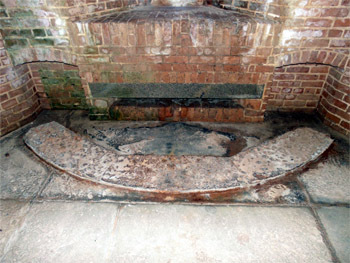 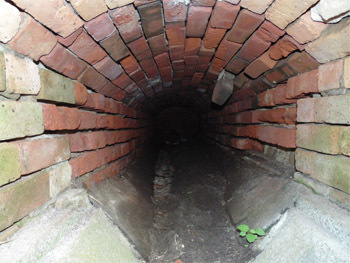 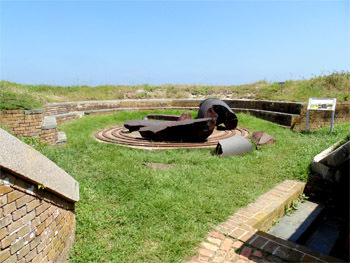 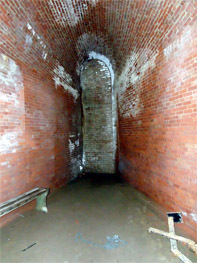 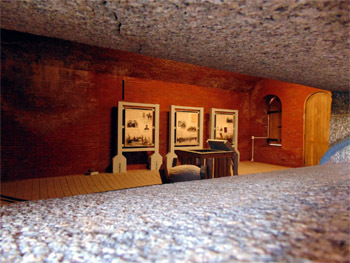 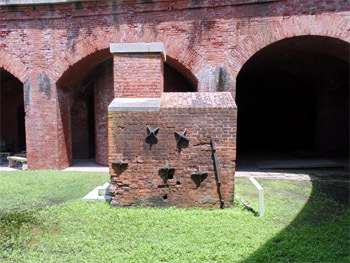 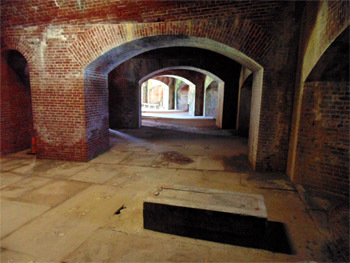 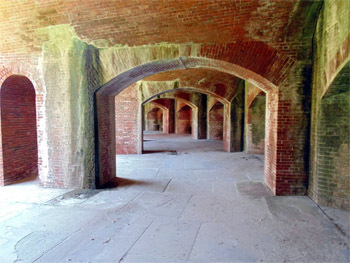 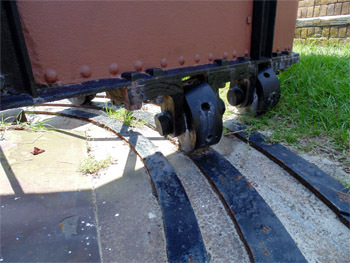 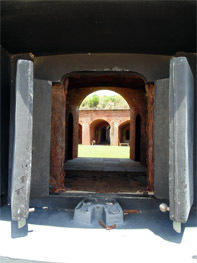 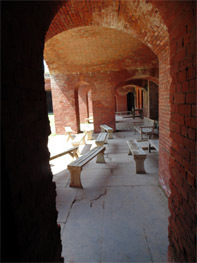 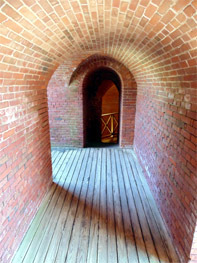 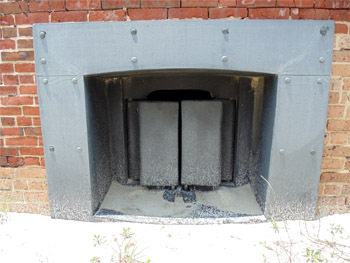 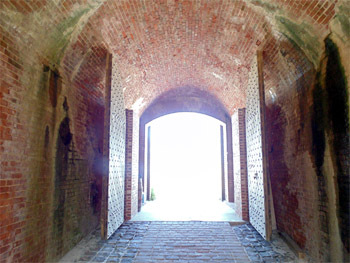 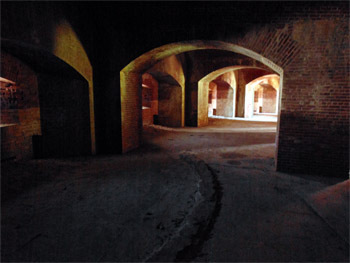 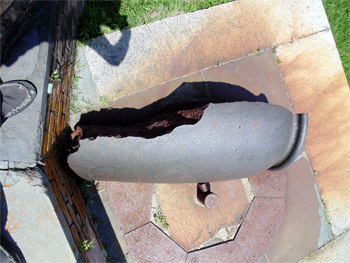 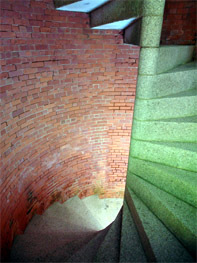 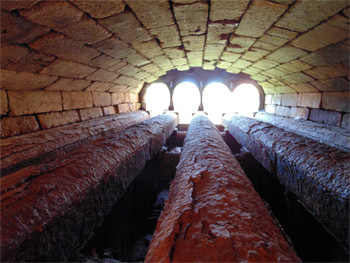 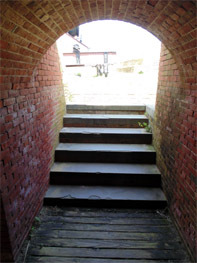 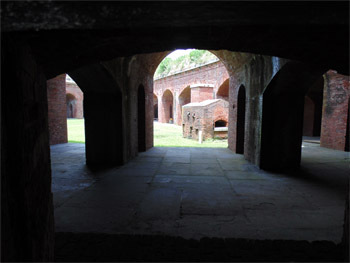 In addition to the usual unrivaled pleasures of ordered casemates, excellent brickwork and an enclosed winding staircase leading to the terreplein, Fort Massachusetts also has a beautiful hot shot furnace; a series of fiberglass reproductions of Totten Shutters; a majestically mounted 15-inch Rodman Gun and a few piles representing the remains of similar guns that had been detonated in place, to ease in a removal that, fortunately, never occurred. 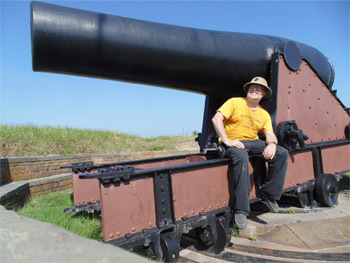 Please click on any of the images on this page to see their full-sized counterparts, and to read more about my daring exploits.